Sears wants better "efficiency and effectiveness" in its media buying and, apparently, incumbent MindShare and MEC Interaction aren't delivering. A review for the $780 million piece of business will be opened. Aiming to complete the review by second quarter, the retail giant has not named the consultant that will handle the review nor the names of any considered agencies. At this point, Sears' creative agency Y&R Chicago seems to be on safe ground. 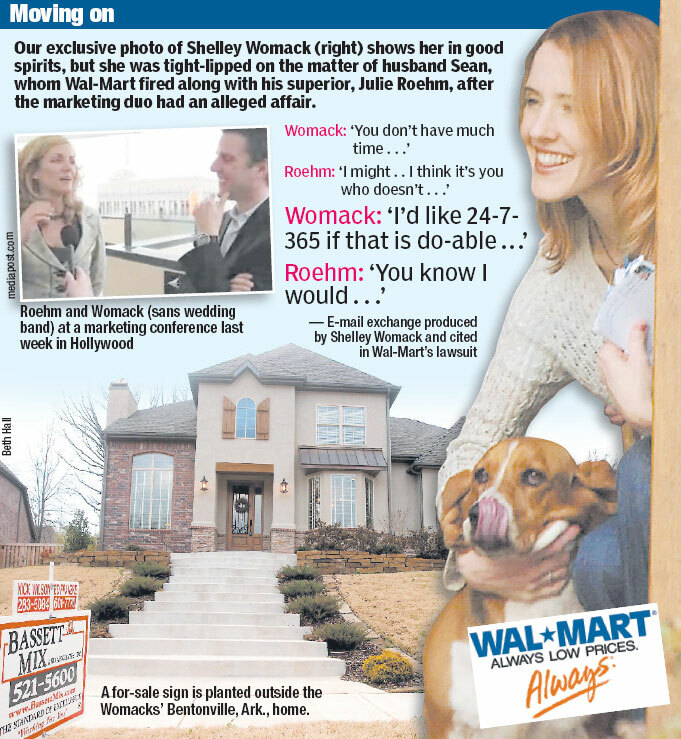 Here's what a Wal-Mart ad would look like if it were to encompass all the Julie Roehm/Sean Womack drama which culminated last week during the endless legal wranglings that have transpired since Roehn was fired from Wal-Mart and it was revealed she was having an affair of sorts with Womack. It comes courtesy of the New York Post which published a column on the matter today. Oh, and about that morning at Starbucks in their pajamas, check this. Oops. That didn't go so well. Sometimes the hottest shop just isn't the best shop. After just over a year, Miller Brewing and Crispin Porter + Bogusky have parted ways with CP+B resigning the account. Crispin Chief Creative Officer told Advertising Age the two made every effort to make the relationship work but split because of "fundamental differences over creative and strategy." Miller isn't talking. Maybe it's time for the beer babes to return. Those two fat dudes were definitely no fun to watch.